Iowa Speedway…The NASCAR K&N Pro Series East (NKNPSE) heads back to Iowa Speedway this weekend for the final time in 2015 for the #ThanksKenny150. 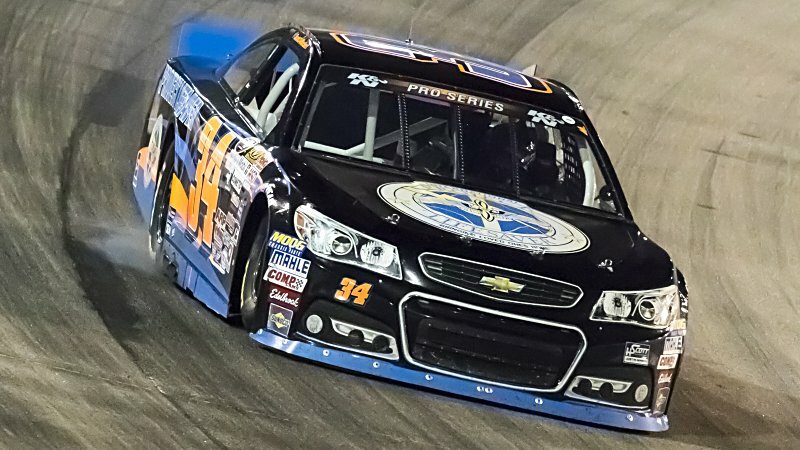 This weekend’s race also marks the final NKNPSE vs. NASCAR K&N Pro Series West showdown of the year. No. 34 Scott Heckert…Heckert enters the #ThanksKenny150 at Iowa Speedway looking to build upon a strong runner-up finish last time out at New Hampshire. The 21-year-old looks to continue his string of recent success at Iowa Speedway, bringing home three-straight top-five finishes in his last three starts at the 0.857-mile track. The Connecticut native looks to better his result and bring home his first Iowa Speedway victory this weekend. Heckert currently sits third in the NKNPSE Driver Point Standings. The #ThanksKenny150 begins at 9:00 p.m. EDT on Friday, July 31 at Iowa Speedway. The race can be seen on Thursday, August 6 at 2:30 p.m. EDT.